Baird incorporates bold architectural gestures—tufted niches, gold-leaf and turquoise coffered ceilings, classical moldings and other made-from-scratch details—with fabrics from taffeta to practical corduroy, and unexpected finishes like mother of pearl and strié painted walls, trompe l’oeil limestone, classic bead board, or end-grain wood wallpaper. In his warmly written foreword, Mario Buatta lauds her skill and taste in sourcing unique pieces for each room. Art Deco cabinets, Sputnik chandeliers, and gracious European antiques discovered in France, England, and Italy are received with the same delight as salvaged barn siding and old crates. 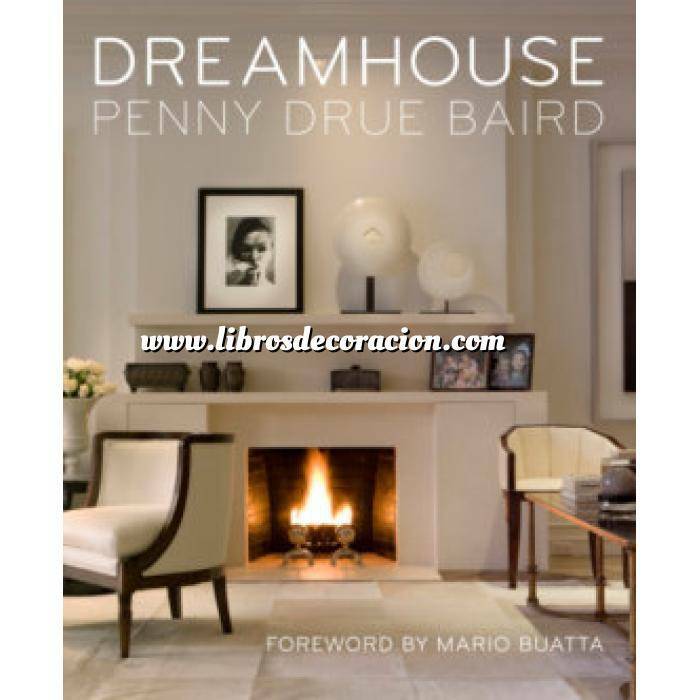 Au courant but never trendy, with elements both classical and contemporary, each DREAMHOUSE is infused with Penny Drue Baird’s irresistible sense of romance, charm, and joie de vivre. - See more at: http://www.monacellipress.com/book/?